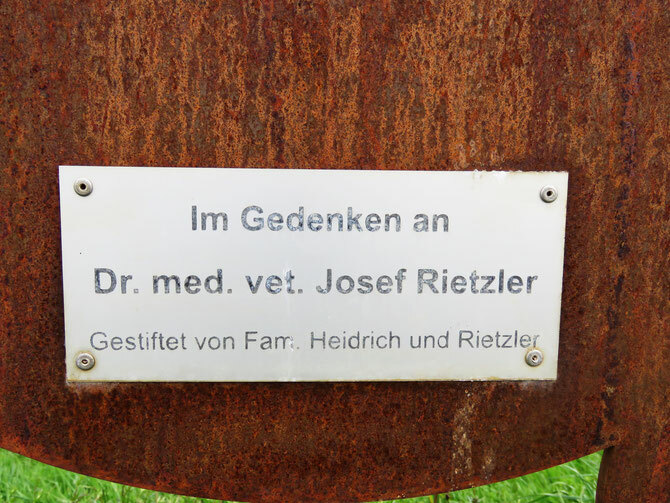 Travel Blog - sasbybikes Webseite! from km 0 to km 263 total 263 km. The ferry from Romanshorn to Friederichshafen had some 45 minutes and this was just enough time for a nice bottle of german beer. 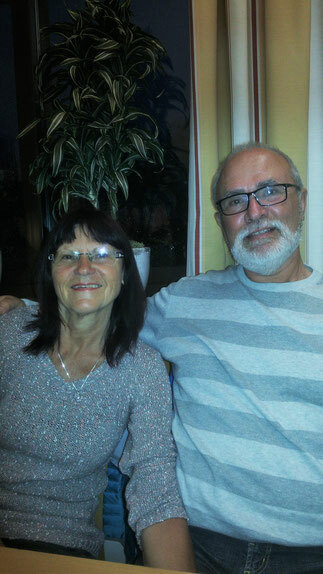 The bike ride to Gerti and Peter in Tettnang was an easy start into the new biker life. There was only a small downer as it started to rain on the last few meters. Fortunately before it poured down I found their lovely home. 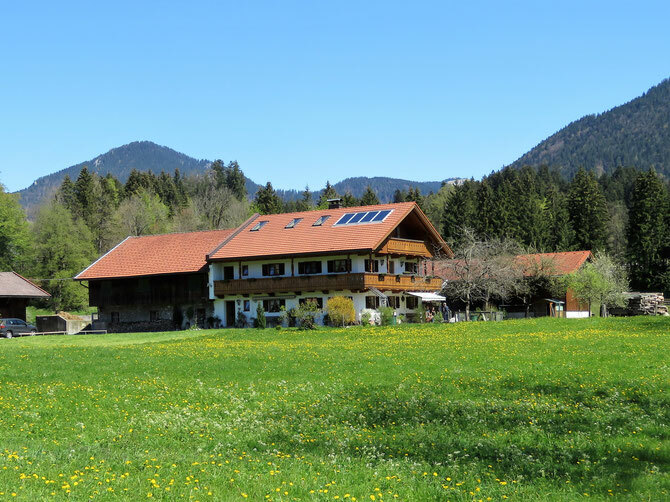 The next few days in the alpine part of the Allgäu were sometimes very strenuous. But every day I saw a little improvement of my condition. Slowly, Dimitri and I could increase the kilometers cycled or walked. 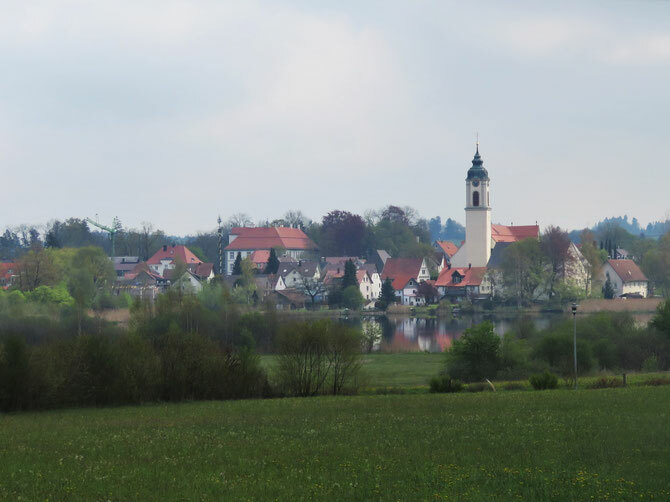 Upper Bavaria is a very hilly farmland. Best conditions for milk and milk products since Roman times. 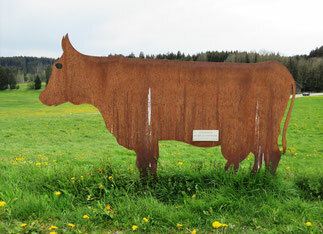 Findings of old cowbells in Marktoberdorf proofed that and it is therefore not surprising that a popular veterinarian got a monument set. 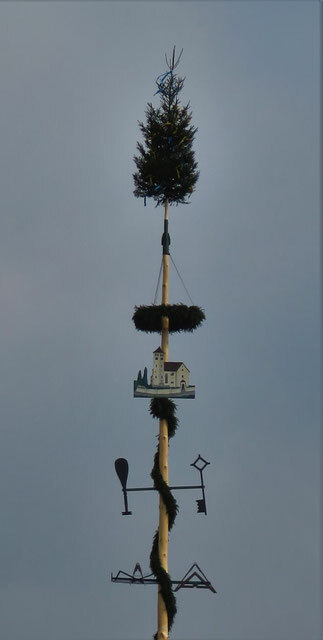 During this time of the year in almost every village the people erected a "Maibaum", a sign that spring is coming. These trees are often true works of art. It was a hilly and varied scenery but hard to ride. 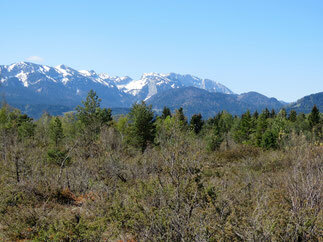 Shortly before Kepten im Allgäu was a pass where in shaded places still some snow was lying. 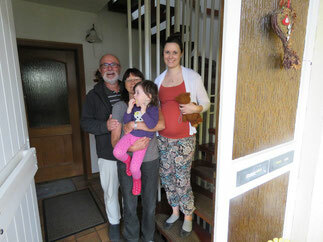 On some evenings it was hard to find a place to stay over night because some guesthouses and hotels did`t accept dogs. Camping in the rain at this time of the year, was not a pleasure and I had no desire to pack every morning a wet tent. 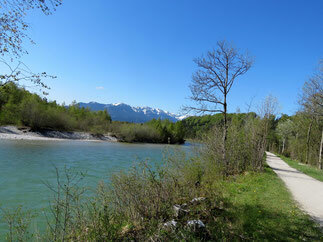 After the interesting City of Bad Tölz, the bike path followed the river Isar through their meadows. 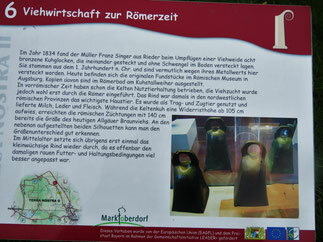 This is a real gem of a nature reserve. Outside the protected area I often found really nice and beautiful farm houses. Usually built from wood and in the country traditional stile but nevertheless very modern.